There's being in the game, and then there's going for the gold! What does it take to stand out from the pack and deliver a winning performance? Recently, Face The Music was at a resort outside of Atlanta with about 270 lawyers from a prominent law firm–I know that this sounds like the beginning of a lawyer joke... (whaddya get when you put 270 lawyers in a room in Georgia....?) But anyway, we were doing our new "
(yeah, I know...). The way the process went was that there were six "pods"–groups of five or six teams–each of the teams in each pod wrote a song in their genre during an evening session.
. They needed to stand out! On the spot they also decided to open with a skit dramatizing the premise of the song. It had some pretty funny lines! One of the team members had already gone out to a local farm supply store and bought a cowbell with the idea of incorporating the classic "More Cowbell" Saturday Night Live skit into the performance somehow. "I did not like this event, I loved it. It was truly a pleasure to work with the Face the Music team. It was wonderful to watch the teams collaborating and working together to create their songs." "Face The Music was always able to motivate the teams even when they were finishing up with long days full of meetings. The event was truly a success – a 10!" "We loved every aspect of the FTM event. The setup and coordination was easy and seamless, the event was beautifully facilitated and done in a way that engaged even the ones who were nervous coming in, and the end result had participants speaking positively for days." "We were so pleased with both days and the great outcomes! I really felt that the participants truly enjoyed themselves, especially when we broke into dance mode toward the end of the evening on Friday; mosh pit and conga line!" "Your involvement in our staff training session really made the whole two days a most memorable experience for all! They are still talking about it days later!" Blues? Rap, Rock 'n' Roll? Country? There are so many musical choices! Why not roll up all of your favorite genres into one Face The Music interactive songwriting festival? It makes for an entertaining and varied culmination during the performances, as groups explore the groove and expression in their chosen musical field, and the FTM band and coaches make their vision a reality in the writing and onstage. , complete with a fireworks display from someone's iPad projected on the ballroom's main screens! teams to their own mini showcase! They got chosen to represent their genre, and wowed the crowd onstage, getting a standing ovation and a big laugh when one of the guys interrupted the song and said, "What this song needs is more cowbell." When applause-o-meter time came, they pegged it out, taking the grand prize; and they even got brought up for an encore performance of their medley by the enthusiastic crowd. So, the morale of the story is–what do you need to do to step up your game? To go from one of the pack to a stand out a winner? 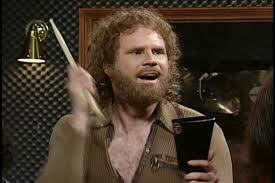 Creativity, enthusiasm, intention, a bit of healthy competition, teamwork, some fun, and... don't forget–more cowbell! Traveling this summer to the Hudson Valley/Catskill region in Upstate NY? There's much to do about live music and music festivals if you are. If you're not coming this way, please let us know about your favorite music festivals in your region. Because it is so close to NYC, many people in the arts have primary or second homes up here. The region is beautiful and the population diverse. Music festivals are a staple during the summer months. There are many venues and formats to choose from, but here are a just few hot spots and festivals we love. 1. Bethel Woods Center for the Arts (the site of the original Woodstock music festival) is a world-class venue to see world class shows. 2. 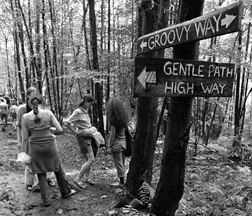 Maverick Concerts, America's oldest continuous summer chamber music festival and winner of the Chamber Music America/ASCAP Award for Adventurous Programming, thrives on the love of great music and the spirit of its unique site in the unspoiled woods in Woodstock NY. 3. The Powerhouse Theater at Vassar. "Collaboration between New York Stage and Film and Vassar". World premiers including a new work by Steve Martin and Edie Brikell in July 2013. • The Rosendale Street Festival, Rosendale NY, July 20-21: 1 Street, 2 Days, 6 Stages, 74 Bands. 5. The Falcon, Marlboro NY - A Venue that pays homage to music and the great musicians that make it. Looking for a 3-minute getaway? Thinking about a vacation and not sure where to go? Or are you working like crazy and would like a 3-minute get-a-way? Either/or, or none of the above, Face The Music has compiled a collection of venues we've played and stayed at over the past few years we call "Were We've Been"--it's like a mini vacation!